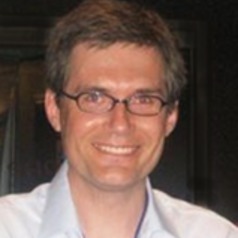 Richard Buckland is a Professor in Computer Security, Cybercrime, and Cyberterror at the University of New South Wales. His research is in Security Engineering and Education. Currently he is working on non-mark based motivation in online education, and protocols for secure electronic elections in untrusted environments. Richard is the Director of the Professional Education Governance Board of the Australian Computer Society and the UNSW Director of First Year Experience. He holds degrees in Science and in Economics, and has been awarded the University Medal in Computer Science and the Vice Chancellors Award for Teaching Excellence (twice). He has been awarded numerous state national and international teaching awards including awards from the Australian College of Educators, the Australasian Association of Engineering Educators, and the The Australian Learning and Teaching Council. Richard was the Australian ICT educator of the year in 2013 (iAwards) and in 2008 was the Engineering Educator of the Year for Australia and New Zealand. Richard has a love for teaching and a deep faith in the potential of all his students. He has taught over 10,000 students face to face at numerous levels including primary school, high school, undergraduate, postgraduate and professional students, and hundreds of thousands of students electronically. He has a passionate belief in the importance of education, of learning, of thinking. He has a particular interest in gifted and talented students and students with learning difficulties. Richard's online computing lectures have had over two million views and in 2012 he ran the first Australian MOOC "UNSW Computing 1". He is co-founder of education startup OpenLearning.com an open MOOC and flipped teaching platform designed to delight students as well as teachers. Before commencing his second degree he worked as an actuary and management consultant and has qualified as a Fellow of the Institute of Actuaries of Australia.